Join us for an evening of fun at Garrison West on the High Street, Fort William. Dinner is available from 5pm and the quiz, with a bike theme, starts at 9pm. Teams of up to 4 people. Lots of prizes for best male and female teas, best junior team, best team with a combined age over 200 years. The quiz starts at 9pm. 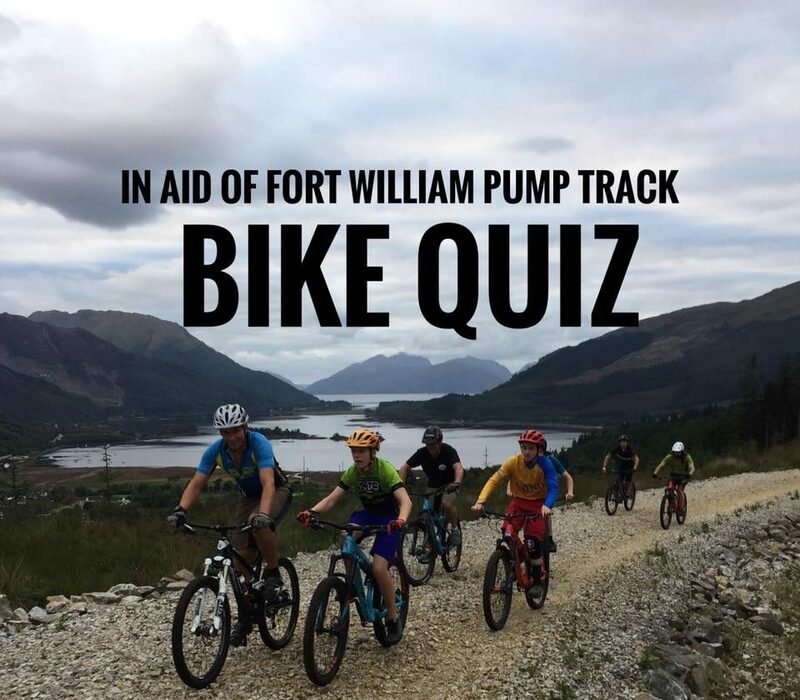 All funds from the quiz will be in aid of Fort William Pump Track.